CrosNest - RCPM-RBBS lives on! Cro'sNest RCPM-RBBS lives again!
" The Cro'sNest RCP/M-RBBS "
This S-100 computer was in continuous 24-X-7 operation, from 1977-to-1997. Cromemco's Word Interleaved Data Exchange Bus ("WIDE-Bus") was a hosted bus that operated over the standard IEEE-696 S-100 bus. WIDE-Bus allows 32-bits of data to be transferred by utilizing interleaving techniques more commonly used on mainframe computers. 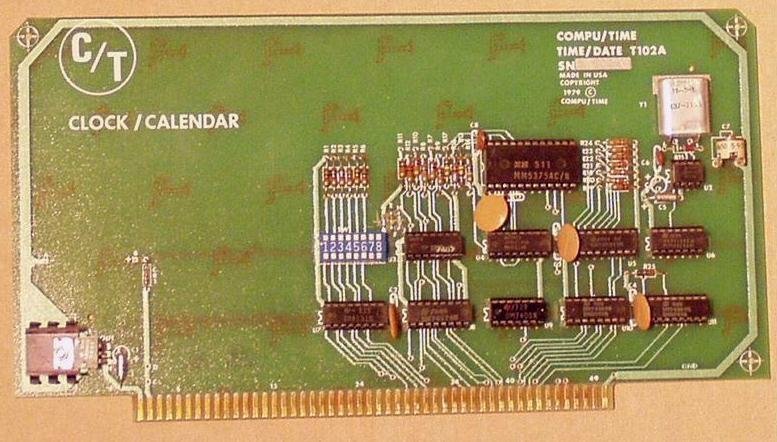 The bus ran between the XXU-processor board and the 2048KZ memory board. The MC68020 processor on the XXU generates queries to memory in 32-bit data packets, It then segmented the query into two equal sized packets which it transmitted over the WIDE-Bus in a serial fashion. The 2048KZ accepted both packets of information, decodes them, and then locates the proper address in memory. 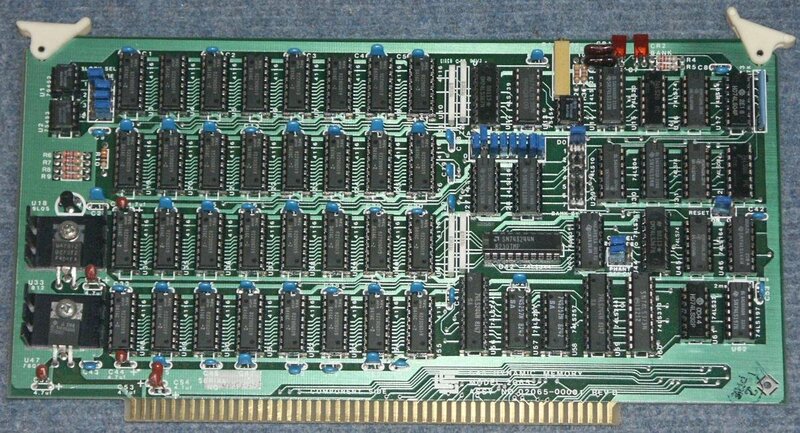 Once the required data is located, the 2048KZ completed the cycle by transmitting it to the processor in dual 16-bit packets. This technique allowed Cromemco to maintain the growth path provided by the standard IEEE-696 bus, while at the same time matching the performance of systems utilizing such dedicated 32-bit buses as VME. The most widely noted implementation of this interleaving (or multiplexing) technique was on DEC's MicroVAXII. DEC's Q-Bus is a 16-bit bus which can transmit data in 32-bit segments using similar interleaving techniques as those implemented by Cromemco. The implementation of WIDE-Bus combined with an integrated processor and fast floating point co-processor, and triple-cache architecture to provide XXU systems (such as the Cromemco CS-420 Super-microcomputer) with the power to surpass 1,050,000 Whetstones per second. Cromemco built a MIL-spec, rugged-ized 19" rack-mount unit (based upon a Motorola MC68000 and the Zilog Z80 -- a dual processor configuration). Their model, CS-200 was widely deployed by the US Air Force, as part of the USAF Mission Support System (MSS) for F-16, F-15 and other aircraft. The MSS provided crucial navigational and other data, during missions -- and enabled combat pilots to compare mission effectiveness to flight plan data (during the subsequent debriefings by their superiors). 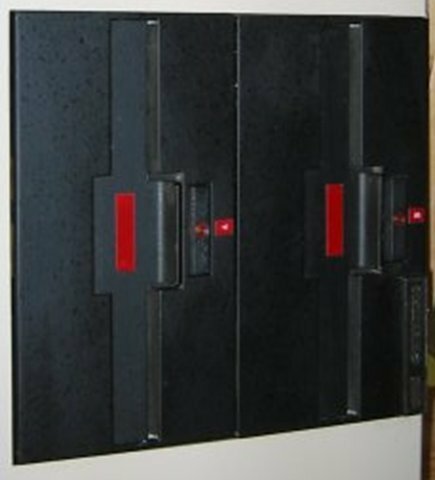 The CS-250, with a removable hard disk cartridge, was similarly configured for rack-mounting (but was based upon a Motorola 68020 cadenced at 20mHz). The US Navy, the New York Stock Exchange, and the broadcast Television industry also invested heavily in early Cromemco products..
To my delight, I now own two vintage Cromemco CS-250's -- they run UNIX V and Cromix -ed. & source, systems, OS software -- Other S-100 Brands & Models (available also from this site, on 2 DVD's). The "guts" of my (home-brewed) "Cromemco Z-2D" S-100 micro-computer. Cromemco, "ZPU" (4mHz Zilog Z80 CPU board) 1976 - purchased new. 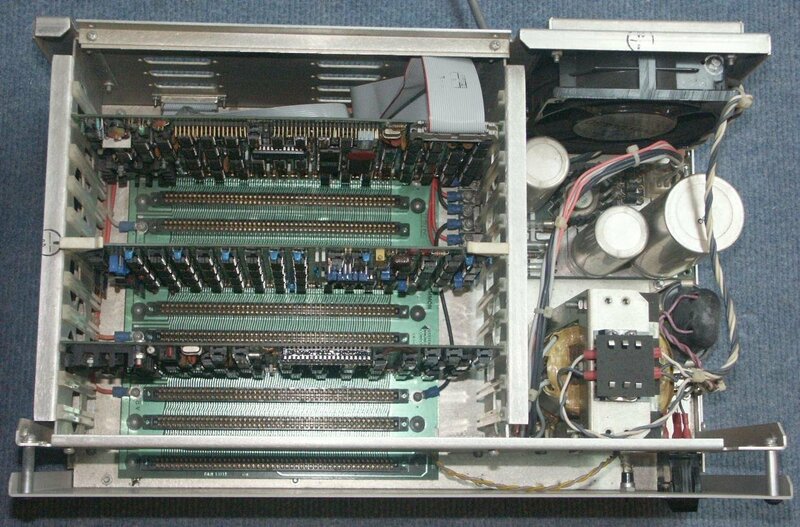 Cromemco, "PRI" (dot-matrix/daisy-wheel, parallel printer interface) 1978 - purchased new. 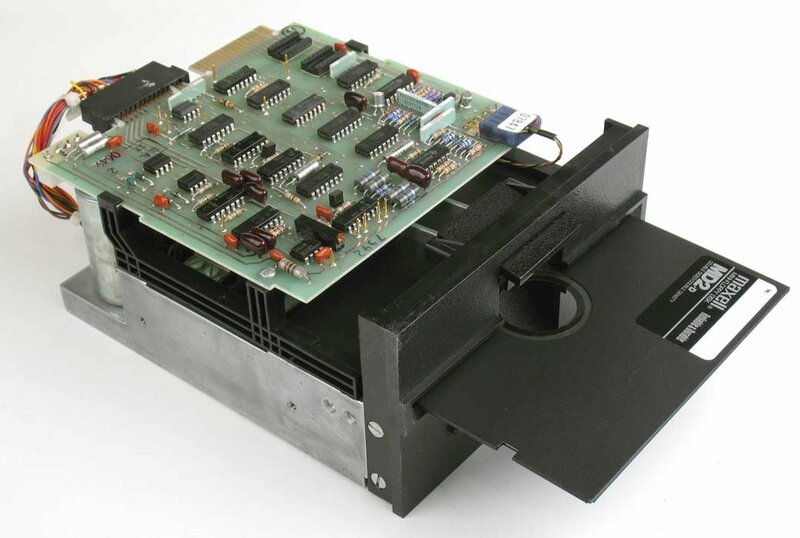 Cromemco "16FDC" (5" & 8" floppy disk drive interface, boot PROM and serial interface to the console) 1979 - purchased new. California Computer Systems "CCS-2065" (64K RAM board- rev B) assembled by RCK -- from a bare board. PMMI "MM-103" (300 baud modem) purchased new. CompuTime - "QT Clock" (purchased as a kit) assembled by RCK -- from a bare board. 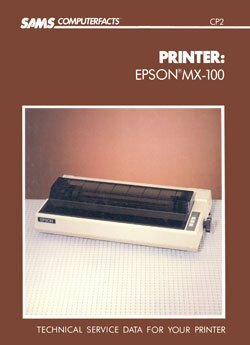 Epson "MX-100" (132 column impact printer, B&W ribbon) purchased new. TANDON "TM-100" (DSDD 5"1/4 floppy drive - 2 each) purchased new. The DSDD floppies could store, 386 Kbytes formatted. An external case and power supply was built from parts by RCK. Siemens "FDD-100-8" (8" SSDD floppy drives, 2 each) purchased new. The SSDD floppies could store, 508 Kbytes formatted, or R/W the IBM 3740 SSSD format. Adapted to work, in lieu of Persci 8" drives (as used by Cromemco Inc). S100 (chassis & power supply & cooling fan) -- purchased a new 'SD Systems', 'bare-bones' model (looked a lot like the above). The final result was the "equivalent" (technically) to the this factory-built 19" rack-mount machine (but with 8" & 5"1/4 drives -- 2 of each). "Cromemco" was a Mountain View, California microcomputer company known for a series of high-end S-100 bus computers in the early days of the microcomputer revolution. Their machines were also known for generating computer graphics for television stations. The company began as a partnership in 1974 between Harry Garland and Roger Melen, two Stanford PhD students. The name came from their residence at Stanford University, Cro(thers) Mem(orial) Co(mpany) -- a Crothers was a Stanford dormitory reserved for graduate students. The company was incorporated in 1976. Their initial products used the Zilog Z80 microprocessor and the S-100 bus. The Z-1, released in August 1976, was a Z80 development system on a heavy-duty IMSAI 8080, 22-slot chassis. It included 8KB of static RAM, an RS-232 serial port, and a PROM programmer, and sold for $2495. 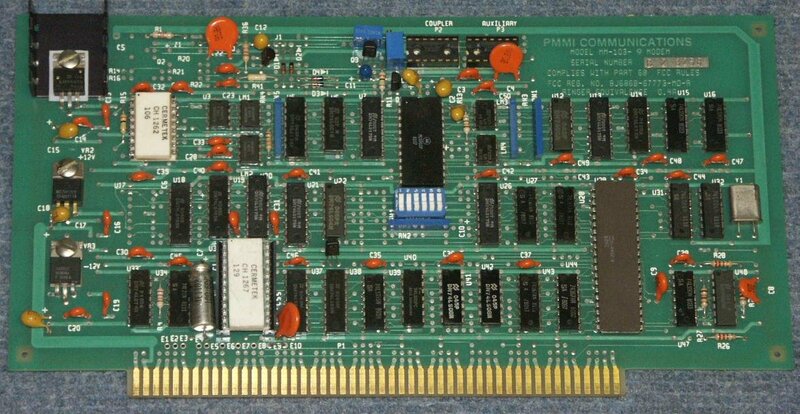 Its modular design supported a 4MHz Z80 plug-in card ($395) and 4 KB static RAM cards ($295). 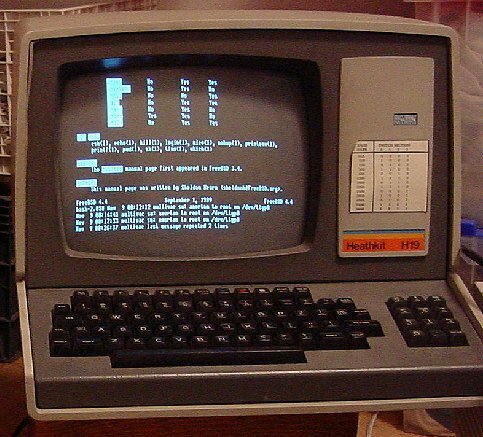 The 1978 Z-2 line was an updated S-100 computer sold as modules or a complete system. The Z-2 was available with one 5-1/4 inch floppy disk drive and no RAM for $1995 or as the complete System Two (CS-2) with 64KB RAM and two floppy drives for $3990. The Z-2 was the first commercially marketed microcomputer certified by the U.S. Navy for use aboard ships without major modification, and some were used aboard Ohio class submarines for data logging during tests. The System Three (CS-3) was the "professional" version of the System Two with two 8-inch floppy drives standard instead of 5-1/4 inch drives, and 32KB RAM for $5990. The Cromemco 3101 serial display terminal was a re-branded "Beehive Medical Electronics", B-100 terminal. The System Two and System Three were sold to educational establishments across Europe and China. These sales helped the company to fund the transition to 16-bit systems with Motorola MC68000 processors in 1981. The "System One" followed the System Two and System Three. It contained either dual 5 1/4 inch floppy drives, or one floppy and a 5 MB hard disk, and was available with a dual processor "DPU" card which contained both Z80 and MC68000 processors. A ruggedized version of the MC68000 computer with removable hard disk cartridges was widely deployed by the USAF as part of the USAF Mission Support System (MSS) for F-16, F-15 and other aircraft. The MSS provided pilots key navigational and other data during missions and enabled combat pilots to compare mission effectiveness to flight plan data during the subsequent debriefing by their superiors. The C-10 personal computer was introduced in June, 1982. It was a 4MHz Z80 system featuring 64KB RAM with an 80 character × 25 line video screen for US$1785. Cromemco produced the graphical microcomputers used by many television stations for weather forecasts during the mid to late 1980s. These Colorgraphics Systems were used on the evening news programs to replace the transparent acrylic glass maps on which local weathermen formerly drew weather symbols by hand. 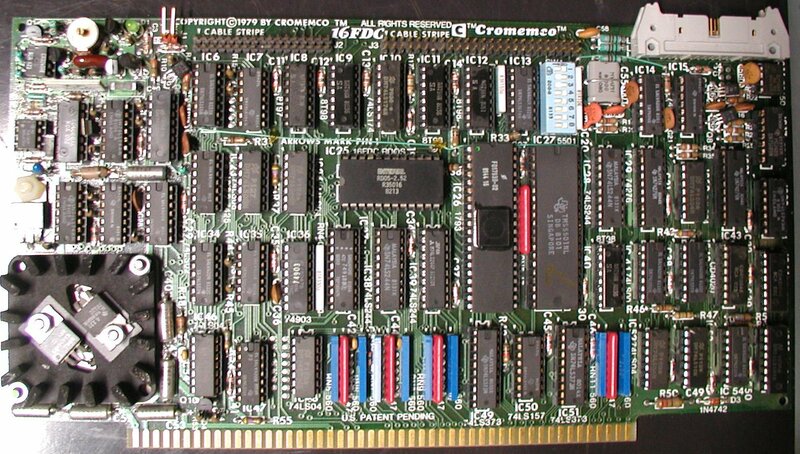 The computers used an enhanced version of Cromemco's popular Dazzler color graphics card. 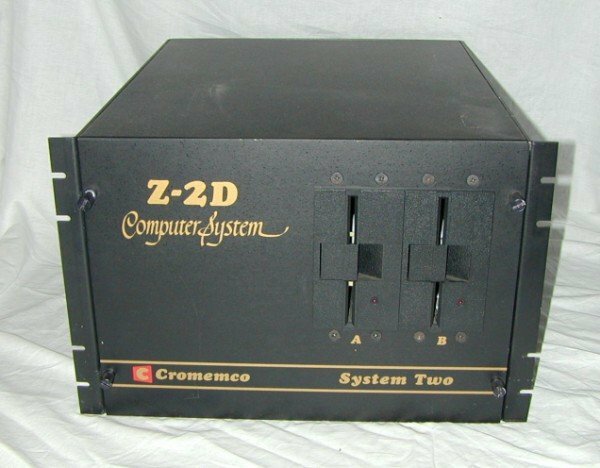 The Z80 based systems ran either CDOS (Cromemco Disk Operating System) or CP/M 2.2. Multi-user capability (via their own Cromix operating system based on UNIX) was offered from 1979 onwards. 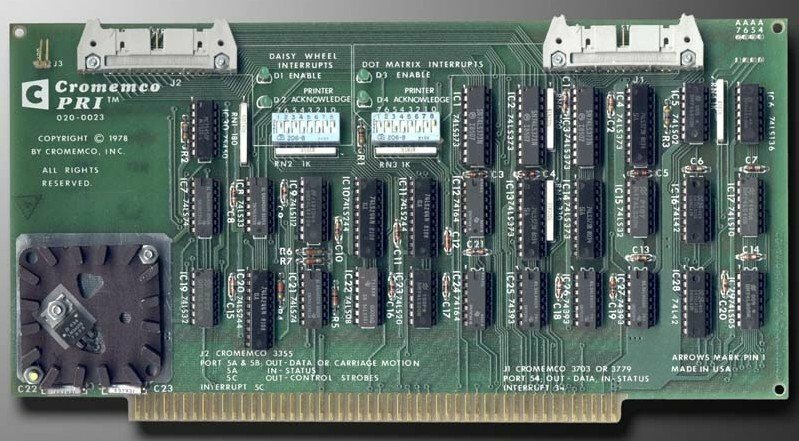 Cromix was written in the C programming language to run on an 8 bit Z-80 processor. It included many of the properties of the UNIX operating system which typically required a 16-bit processor with a hardware memory mapper (a feature that the Z-80 did not provide). 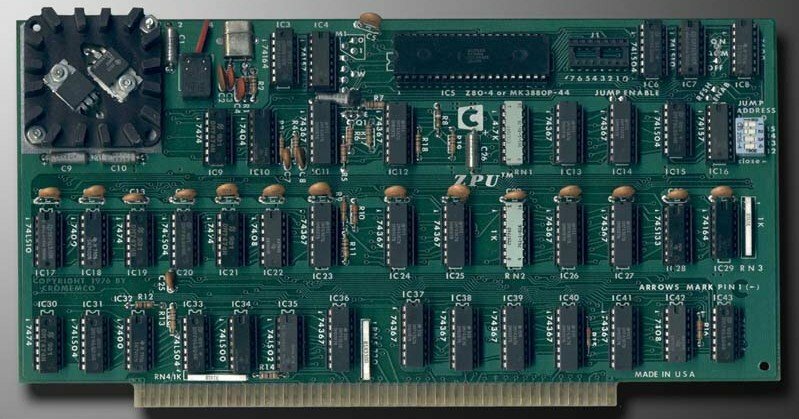 The Z-80 processor was able to utilize up to 16 banks of 64KB of RAM to support 1MB multi user and multitasking applications. It was possible to run this efficient operating system using only a floppy disk drive (no hard disk) and that distinguished it from other operating systems of the time based on UNIX which required large expensive hard drives. Roy Harrington was the lead designer of the Cromix development team. The company employed, at its peak in 1983, more than 500 people and had annual revenues of US$55 million. It was wholly owned by Garland and Melen until it was sold to Dynatech in 1987 as a supplier to their subsidiary, Colorgraphics Weather Systems. The European division of Cromemco reorganized as Cromemco AG ...and is still in business (ca. 2008)! The idea and the desire to build this particular S100 computer evolved from the fact that the Cromemco founders were both at Stanford University (grad students at the time). My ex-wife, Nicole (PhD Mathematics, Stanford 1978) and I were also on-campus from 1974-thru-1978. I was working as a microchip designer at EXAR (Sunnyvale,CA -- from 1974-1981). In 1976 my supervisor (Yoshiji Kurahashi) bought a Z-2D. I too was quickly sold on the qualities of the Cromemco product line! My "Cro" was assembled at my "Skywest" home, located next to the Hayward, CA airport. We then moved to Sunnyvale where my "Cro" began it's role as one of the FIRST remotely-accessible, private computers in the world. It had a total online storage of 1.8 Mega bytes (4 floppies, no hard drive). In 1983 it traveled with us to France -- where it continued to serve European enthusiasts -- until 1997, whereupon I returned to the USA. This computer became the basis for a computing "club" that I founded in France, called "PicoNet France" -- a direct spin-off of the Piconet computer club (based out of the original BYTE Shop, in Mountain View California). My organization quickly grew to more than 2500 French-speaking members from around the world. That activity soon evolved into my first founder's business, "Wild West SARL". During my Silicon Valley days, I helped to create two other hi-tech companies (both are still quoted, on the NASDAQ). SAMPLE of 8080-Z80 Assembler code -- program by RCK, written in 1983 in Sunnyvale, CA. ; Robert C. Kuhman, Sysop of the Cro'sNest RCP/M. DPB: LDA FCB1 ; drive code given ? CPI '1' ; less than 1? ; least significant half in 'c', most significant in 'a'. ; used when ascii-hex is to be stored. And so it was... 30+ years ago! All Rights Reserved (All WRONGS avenged).